We've been playing about with types of front flares for quite a while now, but were limited by our old shop and couldn't fit them in :( Now we've got the big shop it's time for these different flare-types to go into the big wide world. 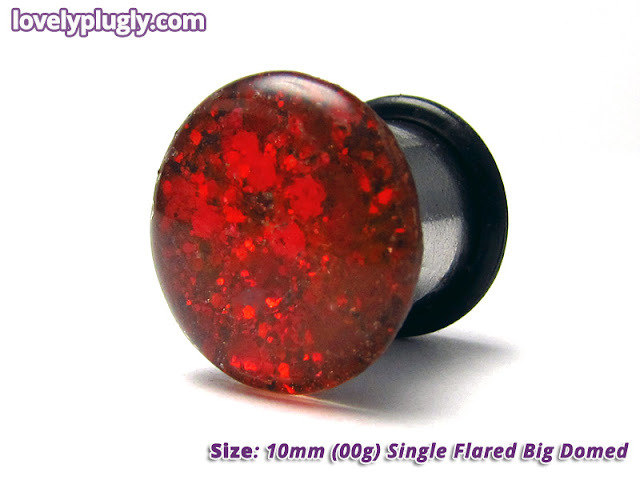 These have slightly-domed fronts, much the same as our bog-standard plugs, except the front flare on this is a couple of mm bigger, giving the illusion that you're a size bigger. 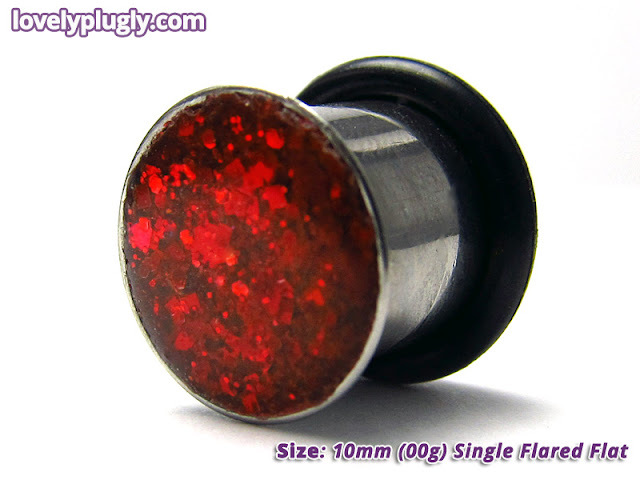 Which is nice if you want bigger plugs but can't go up a size due to work, family, what-have-you. IMPORTANT: We do NOT recommend you wear these if you have any allergies to acrylic or resins. 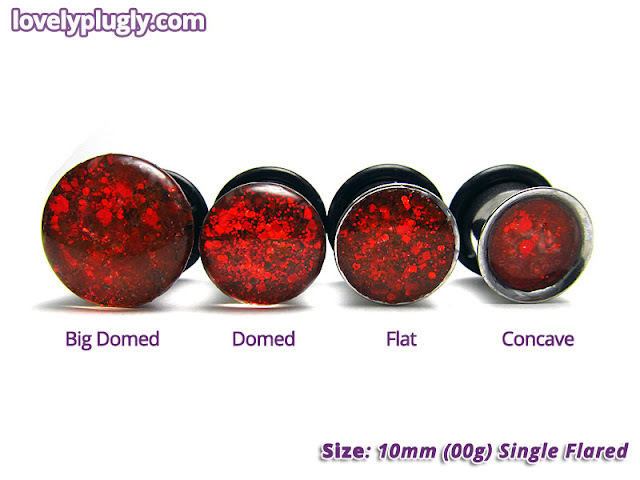 These are currently available for sizes 3mm / 8g up to 16mm / 11/16", with larger sizes coming along soon. 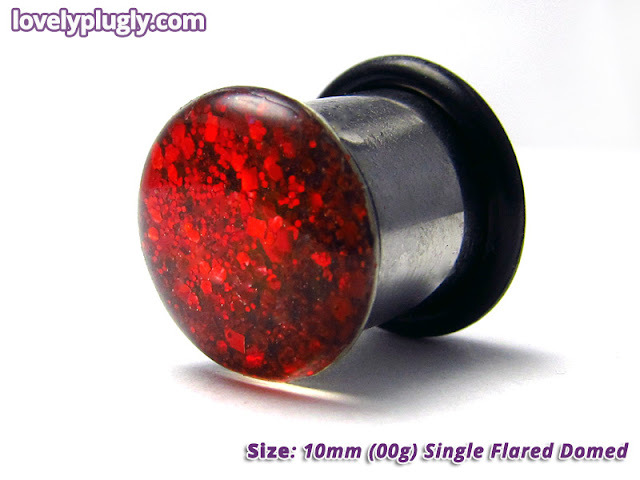 Domed for nice, magnifying effects :3 These are the standard flares that we've been making for ages and ages -- if you've purchased a pair of plugs from us before they would have these flares on. Available from size 3mm / 8g up to 30mm / 1-3/16". It's hard writing things about flares, it's even harder trying to make them sound interesting as they won't give you super-powers, or find your keys or do the housework for you. So we'll just say that these flares are flat on the front, none of that doming nonsense here, and they look very nice. 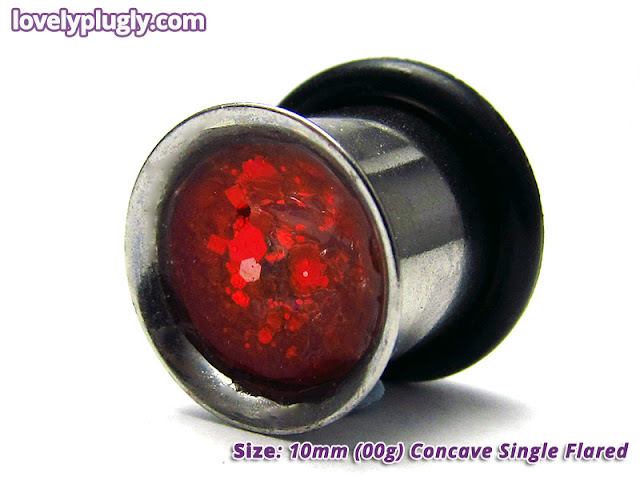 These plugs have their shiny contents set deep within the plug and have fabby concave fronts, great if you fancy something a little bit different. Available from size 10mm / 00g up to 30mm / 1-3/16". We'll probably be able to do 8mm / 0g as well, really.